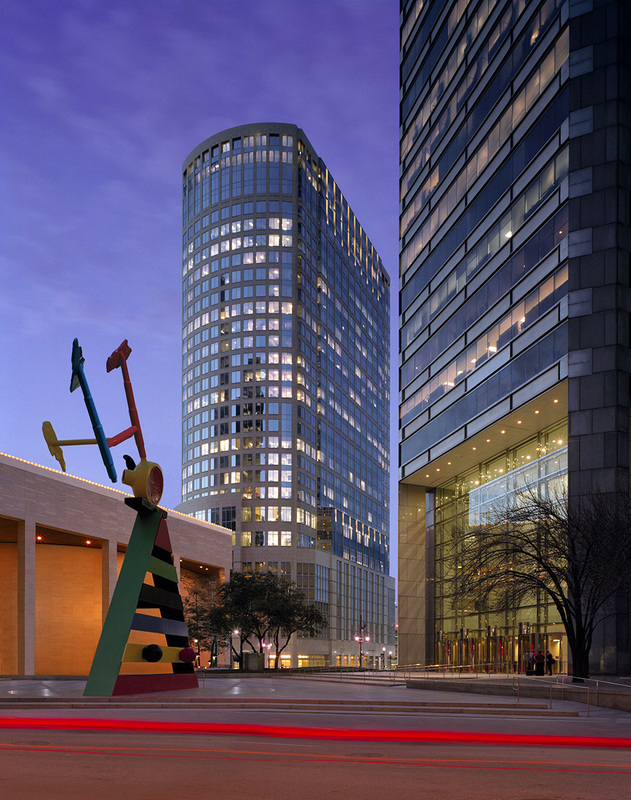 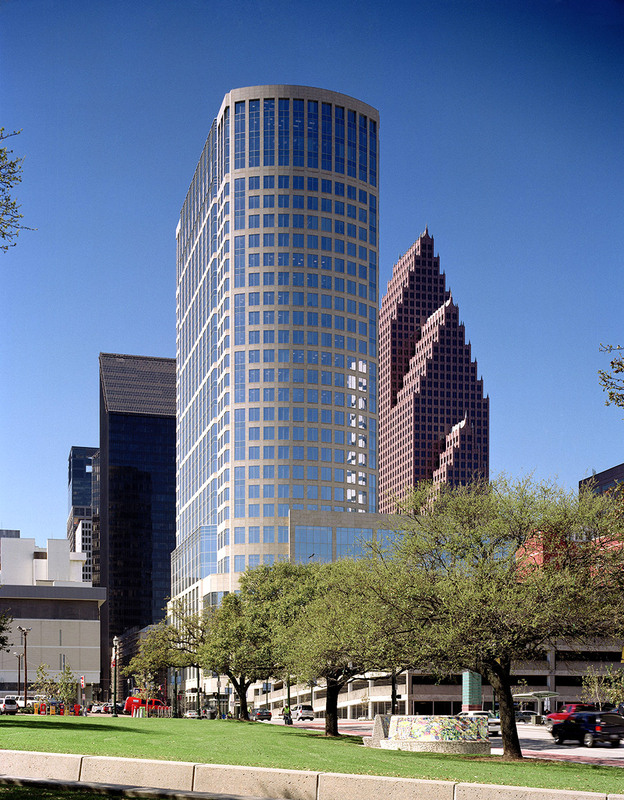 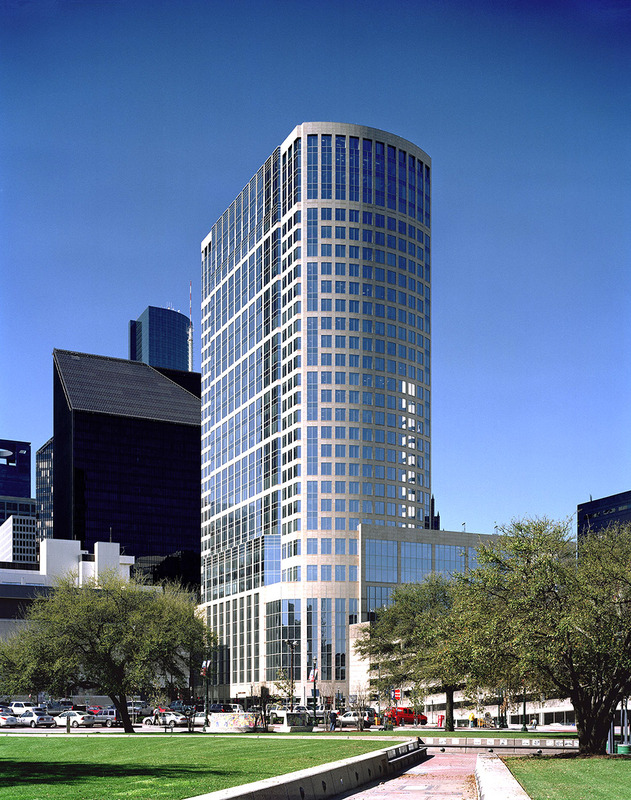 Located in Houston’s downtown theater district, this tower is clad in pink granite and reflective glass. 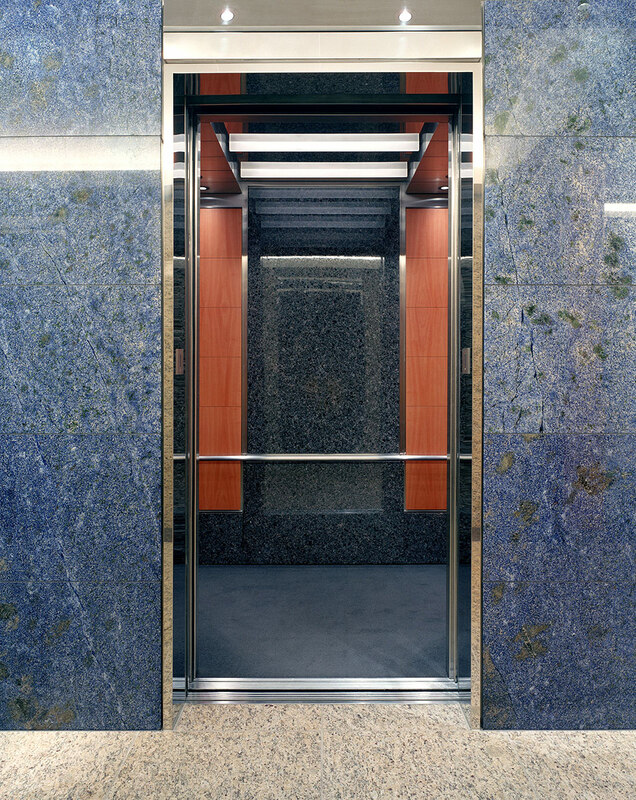 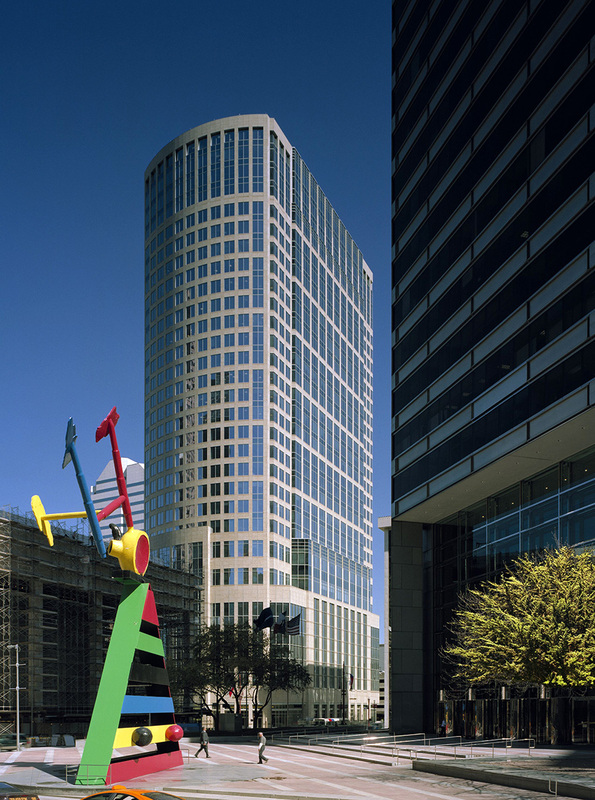 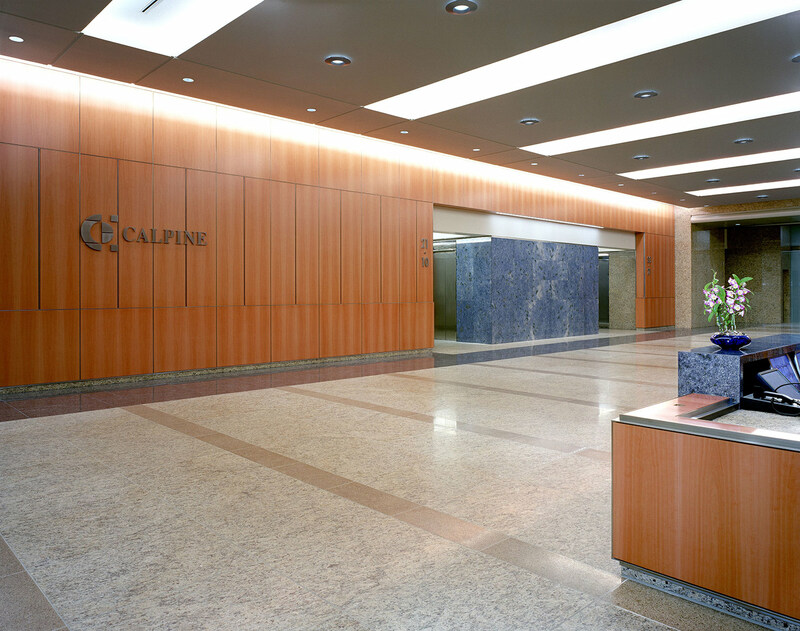 The twenty-four (24) floors of flexible office space includes two floors, each of approximately 41,000 square feet, with extra height to accommodate Calpine’s trading floors. 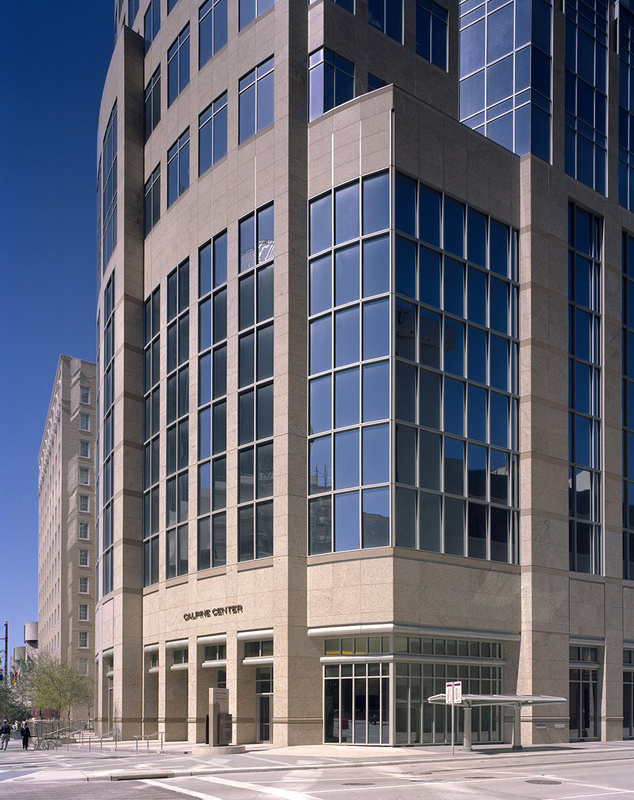 The parking levels above grade are enclosed in the same honed granite and glass unitized aluminum curtain wall system as the office floors above so the building provides a unified appearance from the street and the parking levels are not visible. 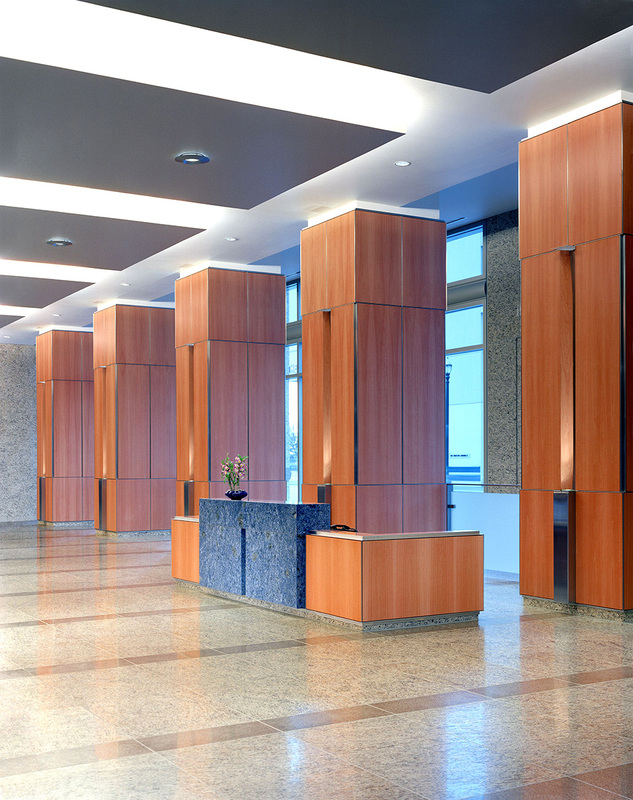 The tall units of high transmittance vision glass bring natural light deep into the building. 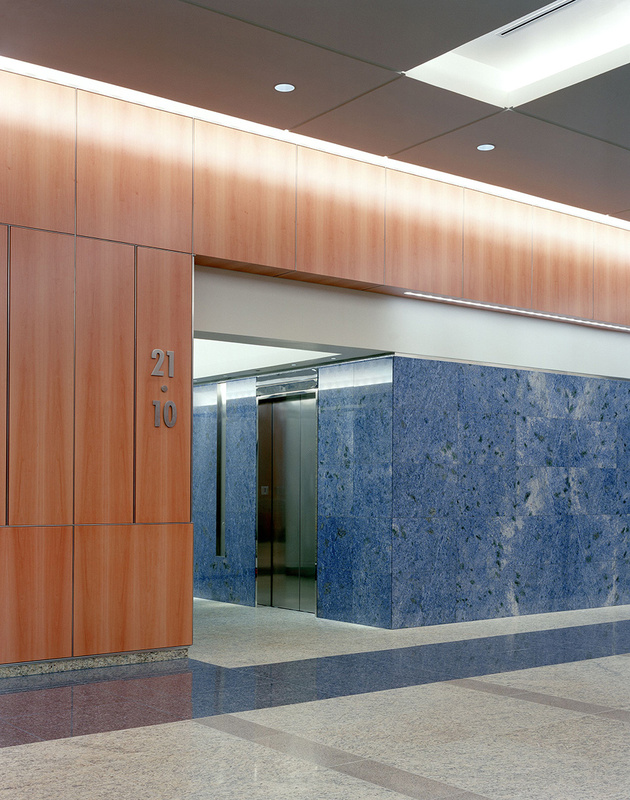 The project received a LEED Platinum certification for existing buildings by the USGBC.